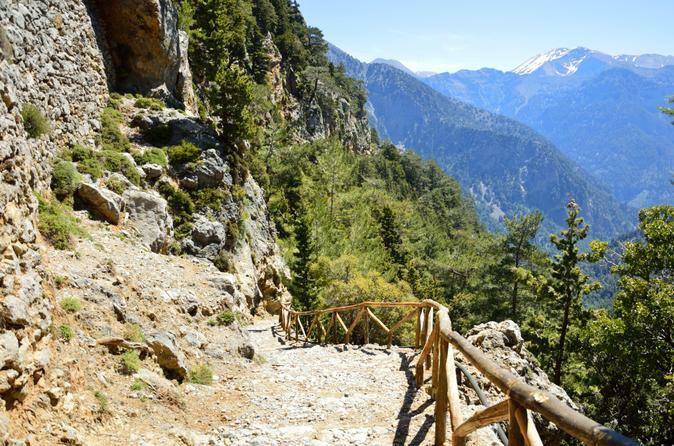 Join this 8-hour guided excursion through the Cretan mountains and discover the wonders of the Minoan Route. Stop at historic sites including an ancient Roman aqueduct and the Diction Cave, the mythological birthplace of Zeus. Enjoy a traditional breakfast with 'raki' in the village of Kastamonitsa, and a Cretan-style lunch at a local tavern in Lassithi. 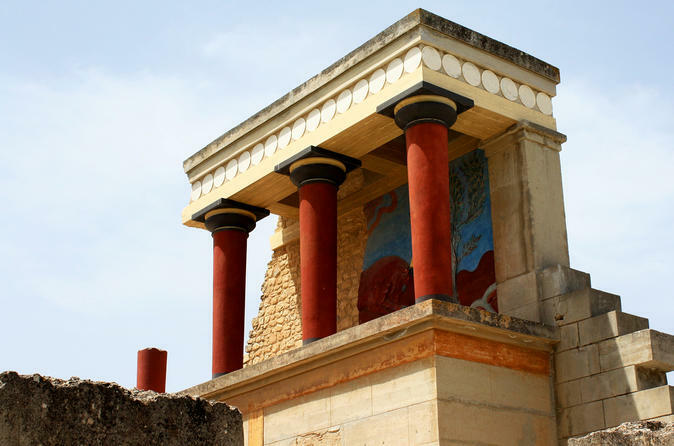 Explore the Minoan Palace of Knossos and the nearby city of Heraklion on a 5-hour Crete tour! 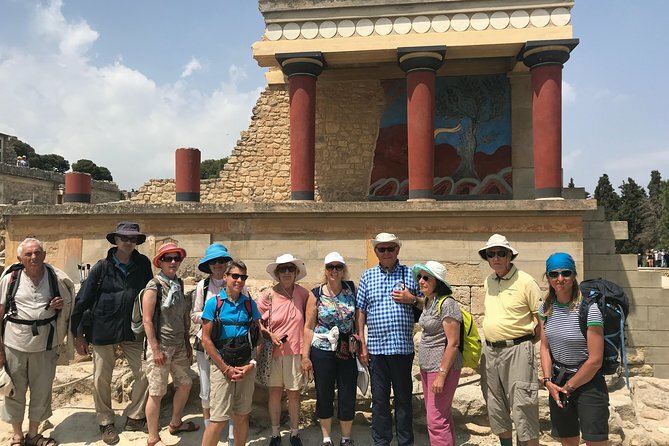 With an expert local guide, walk around the ruins and excavations of the island’s vast ancient palace (entrance own expense), and learn about the Greek mythological tales that are linked to it. 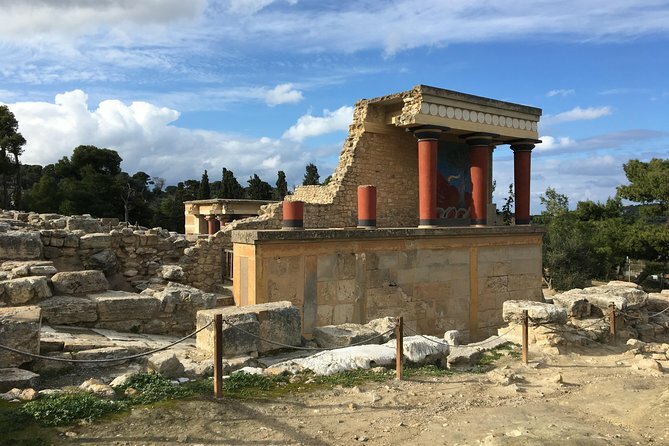 After exploring the labyrinth of corridors and rooms on the Knossos tour, travel into central Heraklion to learn all about Crete’s main town. Relax as you pass sights like the Church of Agios Titos, Koules Venetian Fortress and more. 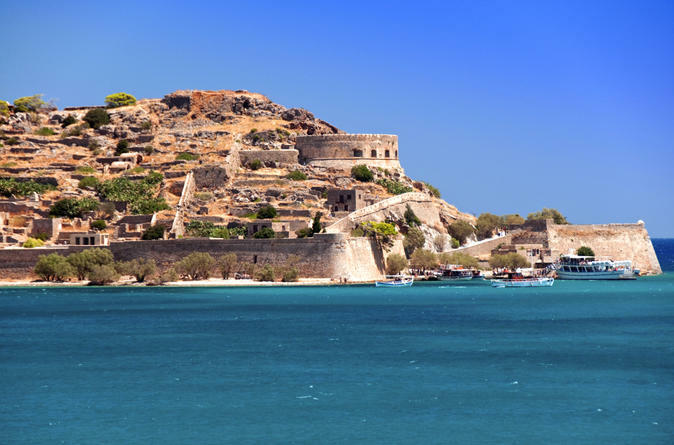 Take a boat ride to the island of Spinalonga. This former leper colony includes preserved houses and churches, and a strong Venetian influence in the form of a fortress surrounding the village. Swim in the crystal blue water before enjoying a BBQ lunch. As a bonus, a trip to the vibrant Crete town of Aghios Nikolaos is also included. 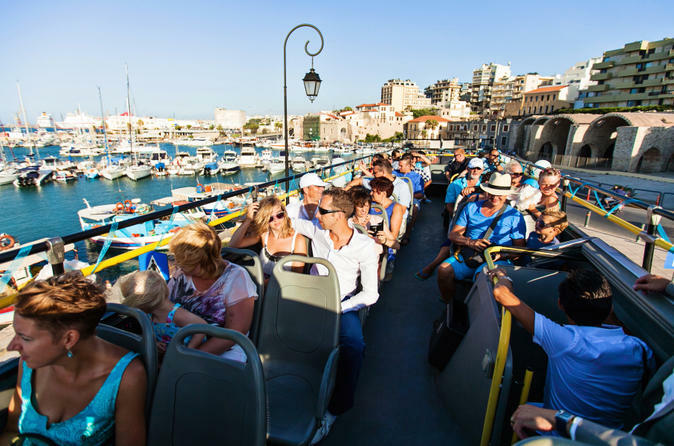 Discover the sights of Heraklion on this fun, open-top hop-on hop-off bus tour. Admire panoramic views of top Heraklion attractions and hop on and off at any of 10 stops around town. Ride to the Palace of Knossos and see its ancient Minoan relics, or stop at the Venetian fortress, Heraklion Archaeological Museum and other must-sees. With your unlimited use 1-day ticket, you can hop on and off whenever you wish during the day. 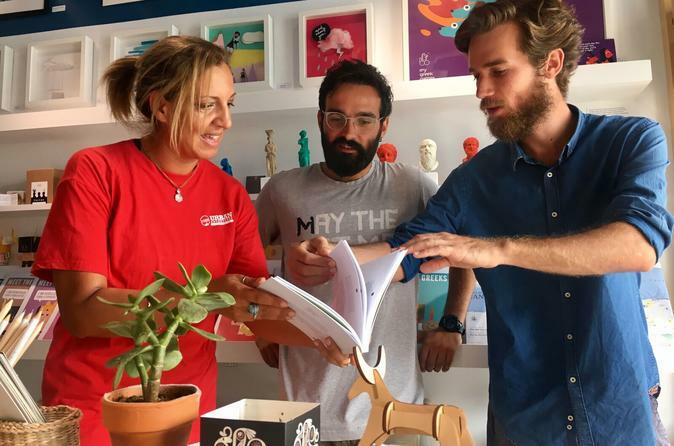 Add audio commentary and a complimentary city map and it’s the ideal way to explore Crete’s capital. 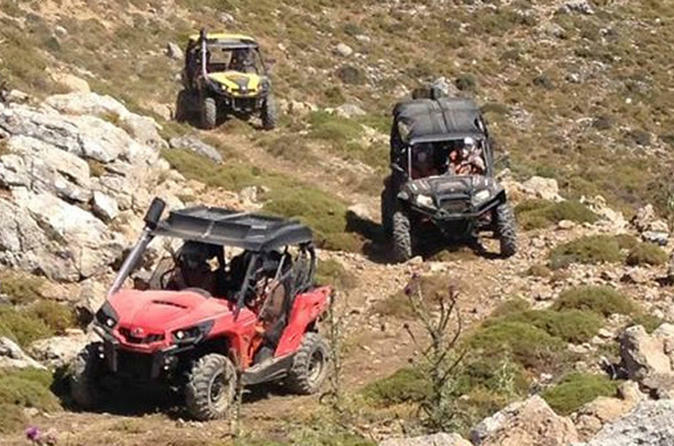 Come explore the Cretan mountains on a 7 hour buggy safari. Anyone holding a driver’s license can drive on this inclusive day for couples and families. This trip will lead you through picturesque villages, olive groves, the Plateau of Lasithi and the wild nature in Crete. Lunch will be served in a traditional Greek tavern. All the vehicles are automatic, user friendly, offer maximum comfort, performance and safety. 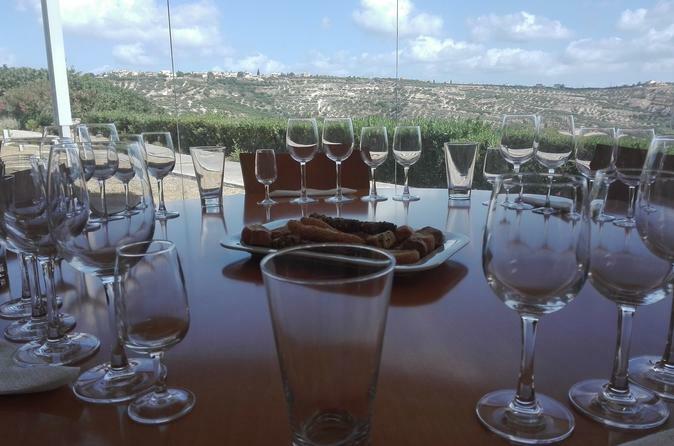 Take a full-day wine tasting, olive oil tasting and terroir tour in Heraklion, Crete with an English-speaking guide on this small group tour. Enjoy lunch at one of the best Cretan mezze restaurants in the area. 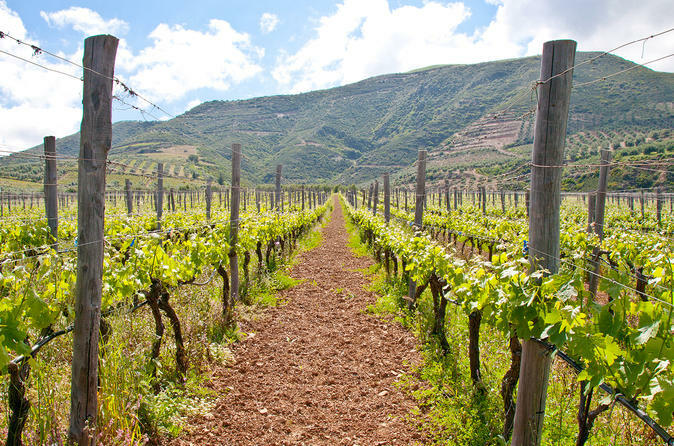 This tour is great for food and wine lovers to discover the real taste of Crete. Travel stress-free with hotel pickup and drop-off service included. 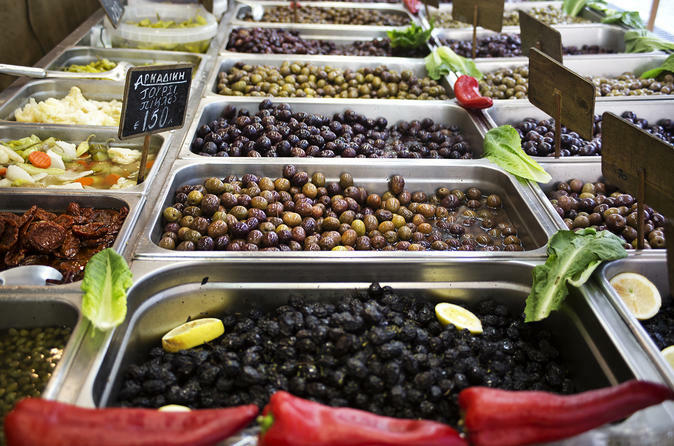 Experience the wealth of Cretan gastronomy and indulge in a chorus of earthy flavours with our Heraklion for Foodies Tour! Wander the streets and hidden alleyways of Heraklion and discover traditional eateries and delis that will put you right in the centre of the local vibe. 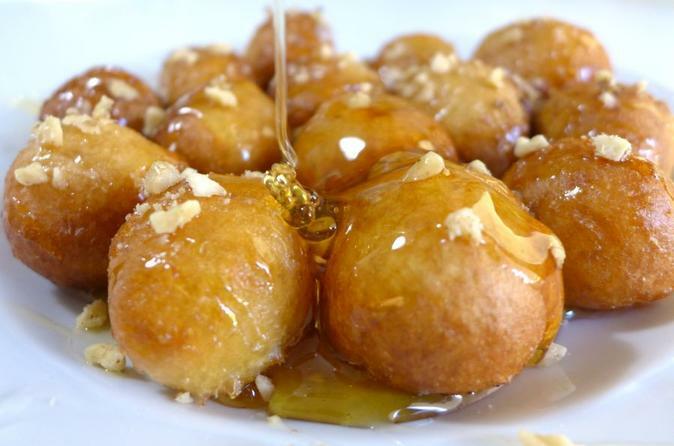 Don’t miss this opportunity to savour all the riches of the Cretan land! Island hopping is practically a national pastime for Greeks and the people who love their land and culture. 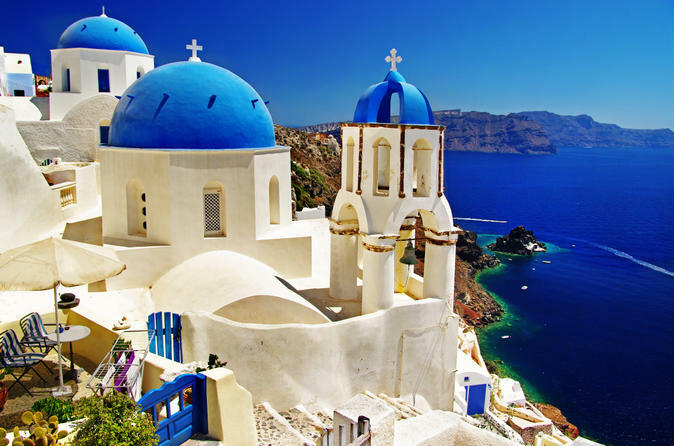 And with this 3-day trip, you too can fashionably hop from island to island – from Crete to Santorini to Mykonos – getting the best of the best at each spot. The stress of buying high speed catamaran tickets and booking taxis from hotel to ferry is taken care of. You only need to think about the good time you're going to have. 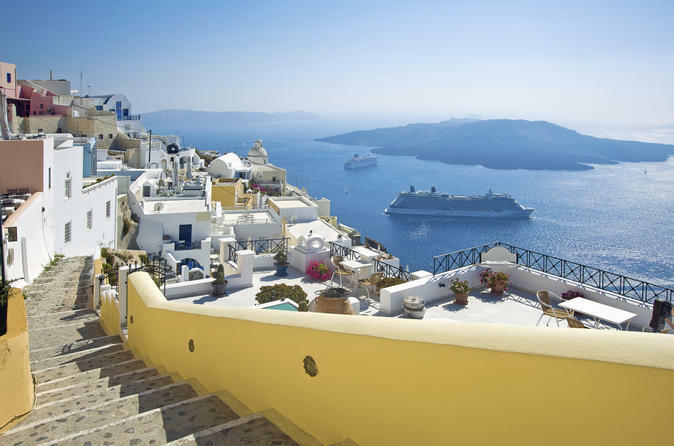 During the ample amounts of free time, explore each island, eat at local tavernas and sleep in comfortable three- or four-star hotels on each island, depending on option selected. • The price does NOT include the entrance tickets! 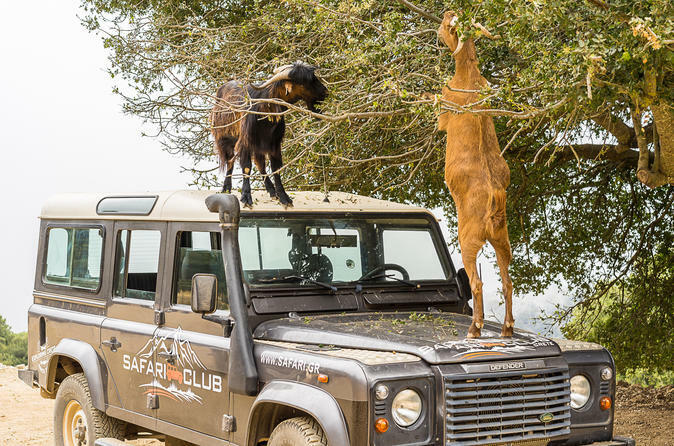 • The tour is executed with the assistance of your private professional guide. • The customer uses its own vehicle to arrive at the site of Knossos. • Meeting point: Main Entrance to the Palace of Knossos, in front of the Ticket Office. • Our operator is holding a sign with a " WeGuide.gr - Meeting Point" logo. 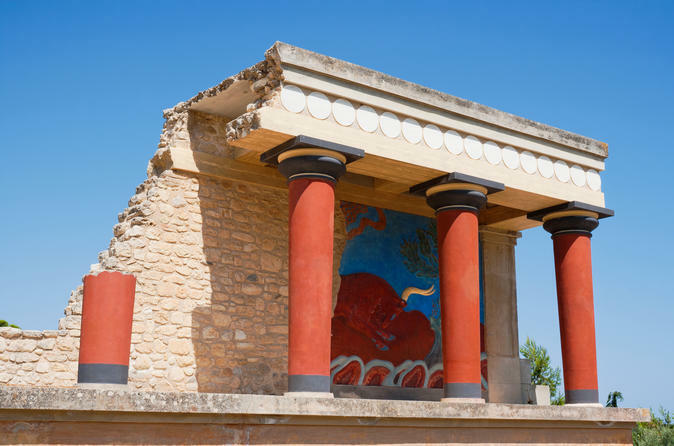 Visit the Mythical Palace of Knossos of King Minos and Labyrinth, home to the Minotaur. Discover the advanced and sophisticated 4000 year old Civilization of Crete. 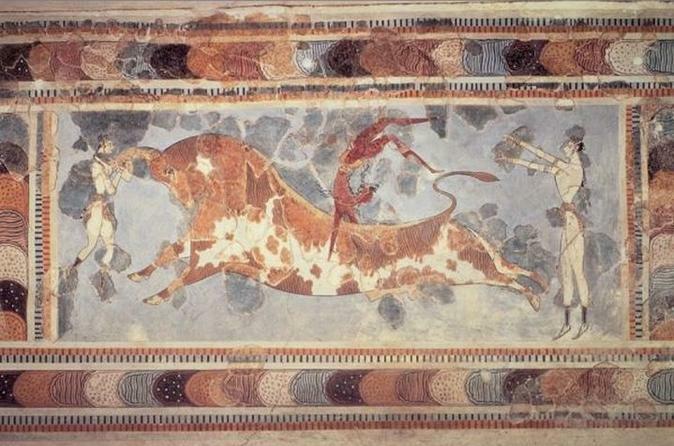 Meet the Minoans, see the Palace of Knossos with splendid wall paintings, with your Licensed Tour Guide. 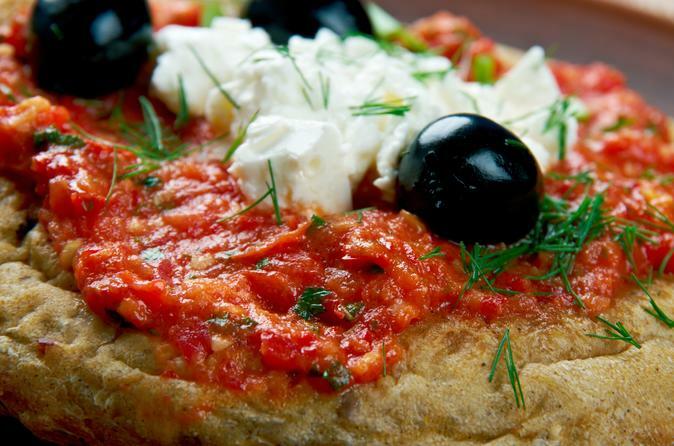 Crete is a foodie paradise, and Heraklion is the capital. On this 3-hour tour with a guide, experience the city like a local and explore the neighborhoods where residents live, eat, and shop, all while tasting the best local treats on the island. 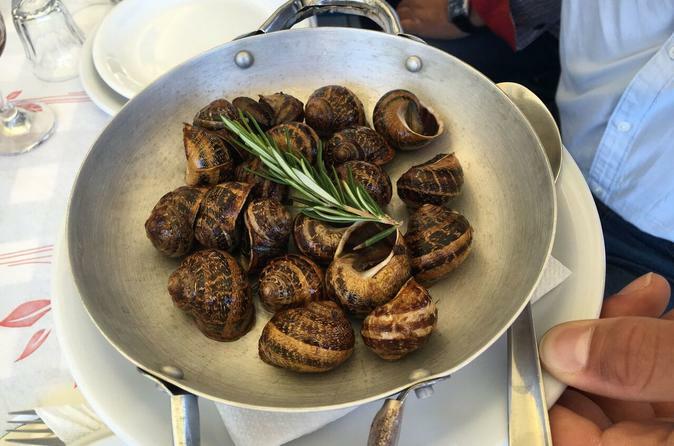 Vegetarian options are available if indicated at booking. Guests, that intend to visit Heraklion Crete for a short time – from the port of Heraklion, Shore Excursions and not only, we can provide an Historical - Culture and Info tour with professional licensed tour Guide, without losing valuable time exploring the unknown. Yishharu grew up in the peaceful years of Minoan naval power and spent his life in the meandering corridors and the splendid rooms of Knossos. As we explore the palace, we will discover the secrets of daily life in Minoan Crete. This is a self-guided mobile tour provided by our tour-guide app. The tour is based on an award-winning storytelling concept and the fascinating narratives prepared by handpicked destination experts. Enjoy this multilingual tour by using your Android or iOS smartphone or tablet at your own pace, even if you are offline. The interactive map on your screen will guide you step by step to explore all the points of interest along your route. Each stop comes with a selection of signature stories, allowing you to tailor this experience to your personal interests and schedule. *Ticket / entrance fee to the archaeological site is not included! ACQUA PLUS is by far the most popular water park on the island of Crete, for twenty years now it offers great fun and good service to more than 100000 satisfied clients per year, is situated 5km from Hersonissos and only 30km from the city of Heraklion. • The price does NOT include the entrance ticket! • Meeting point; Entrance of the Archaeological Museum of Heraklion. • Our operator is holding a sign with a "WeGuide.gr - Meeting Point" logo. • The guided tour begins at 12:30pm. 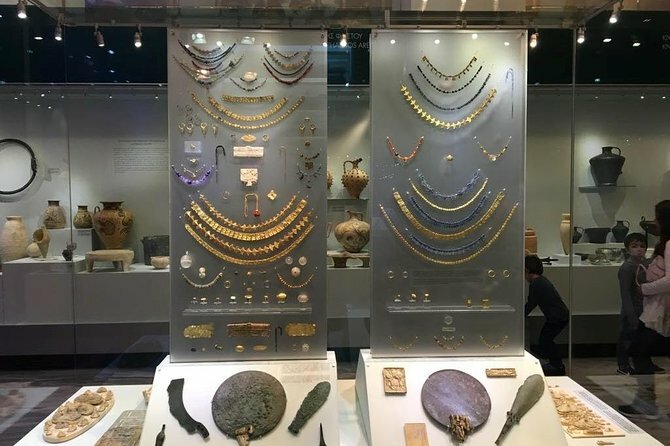 Visit the Archeological Museum of Heraklion which hosts a collection that makes it one of the most important Museums in Europe in its field. Join our tour as we guide you through the ages, in a period of time that extends over a 5.000 years, from neolithic to roman era. 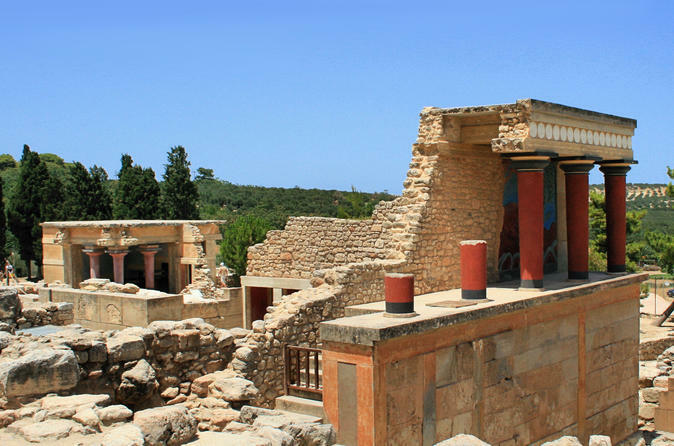 • The guided tour for the Palace of Knossos begins at 10:00am. • The guided tour for the Archaeological Museum of Heraklion begins at 12:30pm. Amazing 3 hours walking tour in the largest town of Crete, Venetian & Ottoman Heraklion or Iraklion, to discover it’s history, finest hidden gems. 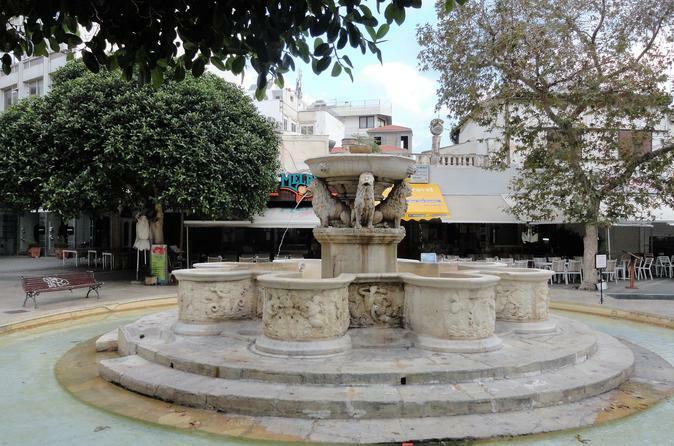 Discover Heraklion with Heraklion Open Tour. 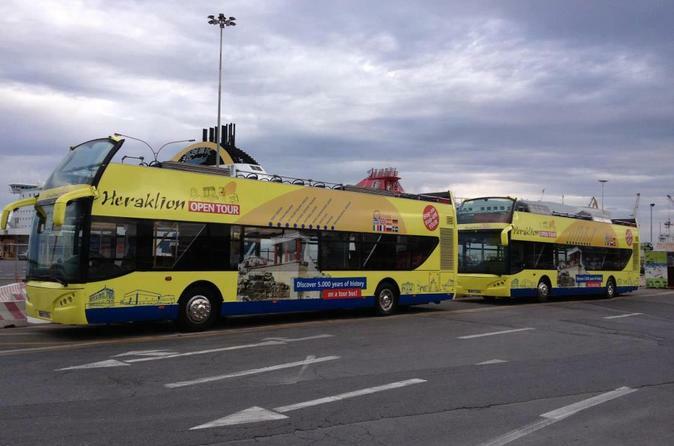 Enjoy the city of Heraklion in your own language with the audio commentary on board. Heraklion Open Tour gives you the opportunity to see the city from above combining pleasure and education and is the perfect choice for you and your family!